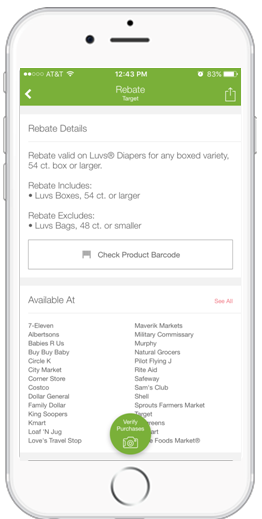 Get Back $5 with ibotta for Purchasing LUVS Diapers! Being a new mom comes with unfamiliar territories, like middle of the night leaks while you’re trying to keep your eyelids open with toothpicks. Something all moms experience a time or two or 100. Ugh! 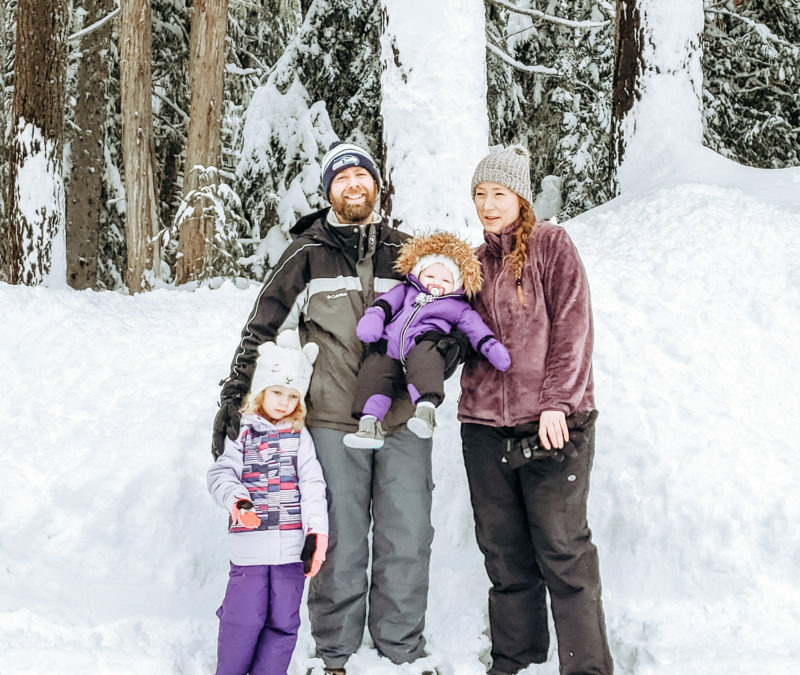 I don’t know how many times I’ve had to deal with leakage so far with my 10 month old baby girl, lets just say it has been A LOT! My sister told me about LUVS and not to go for the more expensive name brands like I have been because LUVS is just as effective, but a fraction of the cost. I have to say, she was right! In the last month I have started using them, we haven’t had any leaks and I have more spending money to use on other baby necessities. That’s because Luvs locks away wetness 2x better than Huggies Snug & Dry and turn diapers into dollars by saving up to $150 per year. 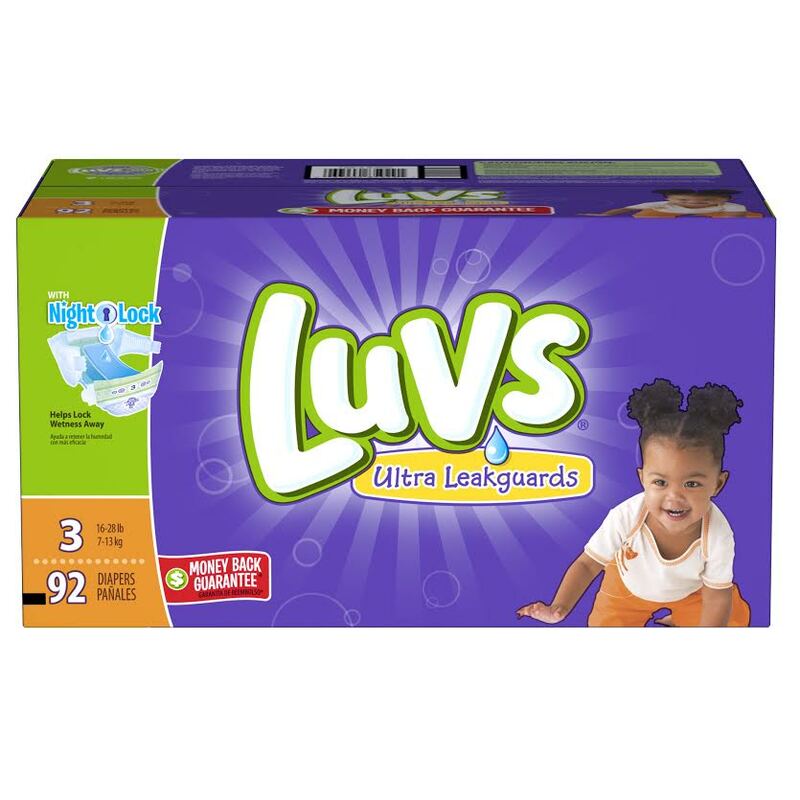 LUVS has leak barrier leg gathers and a leak guard core, which makes it their largest absorbency ever. This is nice for busy moms by helping to keep leaks in the diaper where they belong, so our babies stay dry and comfortable. LUVS stands behind their product. If you experience any leakage, they have a money back guarantee. They feel so strongly that their diapers will keep your baby leak-free that they’ve guaranteed them! 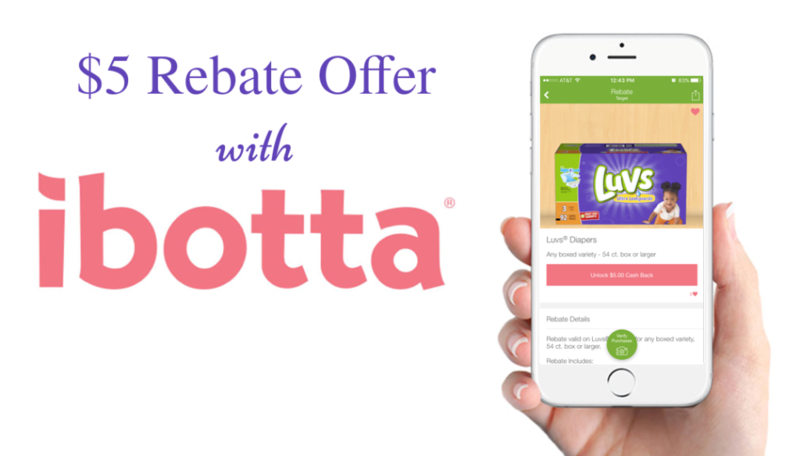 In partnership with LUVS, ibotta is offering up a $5 Rebate Offer when you purchase a 54ct or higher box of LUVS diapers. Before shopping, choose your offers by completing tasks in the ibotta Product Gallery. Choose your earning level for each product offer by completing as many tasks as you like such as reading a fact, answering a trivia question, watching a video, etc. Once you complete at least one task per product offer, the product offer is automatically added to your shopping list on the ibotta app so you can earn money for purchasing the item. This one is my absolute favorite since it has so many different offers to choose from and at different stores. I’ve earned a total of $49 cash back using this app so far. All you have to do is unlock the offer by doing the simple task, verify the product to make sure it’s what is actually listed on the app and then snap a photo of the receipt. Usually they’re approved within an hour and once you reach $10, you can cash out to PayPal or Venmo instantly. If you’d rather convert your earnings into gift cards, you can certainly do that as well! 1. Download the free ibotta app, available on iOS and Android. Search “Luvs” and you will find the offer! 2. Print this .50 off coupon. 3. Go shopping for your Luvs diapers at any participating store. 4. Verify your purchases by scanning product bar codes and submitting a photo of your receipt. 5. Save money and earn cash back! Your $5 cash back rebate will be deposited into your Ibotta account within 48 hours. Disclosure: This is a sponsored campaign created in collaboration with the Luvs & iConnect. All opinions are 100% my own. That is a great deal. Diapers sure do add up fast! I will have to check out the iBotta app and also share that with my cousin who uses LUV diapers for her baby! That’s great that it allows you to save! My kiddos are out of diapers but I’ll be sharing this deal with my mommy group! Both my kids wore Luvs and we loved them! My sister says diapers are endless at her house – this is a great deal, thank you! Great deal, diapers are so expensive. That’s a nice rebate on something every parent needs. It’s nice to have savings on things you buy frequently. I really love rebates. Makes shopping more fun and exciting. So love this promotion. Ron Leyba recently posted…11 Interesting Images That Can Oddly Satisfy Your Day, #3 and #4 Looks Really Amazing! What an awesome deal! This would’ve helped when I had the twins! Diapers are a tad more expensive when you have two babies. I love Ibotta!! I don’t have any in diapers right now, I’ll have to pass this along to friends with babies… or maybe stock up for a future baby shower! I have to try this! I need all the extra money I can get, and we always buy Luvs. What a great deal! I love ibotta. I’ve earned over $30 with this app! I’ve seen a lot of good feedback about this brand. I’m gonna spread this to my mom friends. Ibotta saves me so much money every time I go shopping. It’s a great way to save money on the things you already buy for your family. That Ibotta app sounds interesting to me. I have my phone in my hand, I think I’ll check it out. I wish Luvs diaper also offered in my country, it would be great for my son. I just love the ibotta app!!!! And gotta love saving on diapers!!! I hate how much I spend weekly on the things! Affordable diapers and cash back? Sign me up, please! What a good deal for those parents who buys diaper. This is my first time hearing about Ibotta! As of now, I’m using a different diaper brand with my 8 month old. I’ll check out Ibotta and LUVs diaper. I’ve been using ibbota for awhile, and I’m liking it! A friend of mine shared it to me.